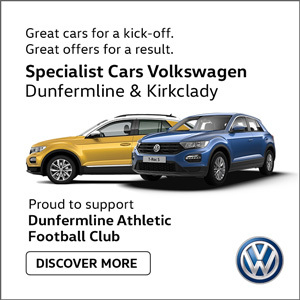 Last victory over Dundee on their home patch was five visits back in October 2004 when goals from Thomson and Derek Young secured the points. 27/12/08: "The boys just want to get out and get a win to rectify what has happened in the last few home games. It is disappointing to find out in the afternoon of the game that the game is off. 26/12/08: "They have a new manager so they are buoyant with two good victories under him so far. Sometimes that happens when you get a new manager; players respond to something different. There will be a period of applause prior to this match on Tuesday night in appreciation of George Miller, past player and Manager who sadly died on Friday. "I am feeling good; I trained all week and I am enjoying being involved with a first team. Obviously to start on Saturday was great, I am just disappointed that we couldn't win." "It was a chance to catch up and we have not taken it. Nobody really knows what it is with our home form. It is just one of those things. "Obviously when we got it to 4-3 it gave us a bit of an emphasis. It was another great goal; a great touch from Baynee and a great finish from Nicky. 20/12/08: "If you score four goals you expect to win the game, especially at home. We need to get back, keep working hard and try to sort it out. 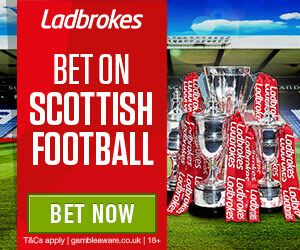 Eight goal thriller after Clyde take early lead. Glass penalty evens after 10. 2-1 after 80 secs of second half, 2-2 in 50. Clarke double then Kirk again and it was 3-4. Phinn 4-4! 19/12/08: "We certainly know we need to improve our home form if we want to maintain a challenge, so that is the challenge for us tomorrow and get a home victory. Injury struck Simon Wiles is working hard on being able to feature again this season. At an exclusive event for season ticket holders, the management team gave their views on a variety of subjects. "I used to get worse than that when I was playing at home. They can shout what they want it doesn't really bother me. I actually like it when they shout." Lee Graham goal gets Pars back in the game but despite a Paul Willis penalty Pars on wrong side of five goal match. "Every win is important. That's only sixteen games so we just need to look after our own affairs and see where it takes us. Dunfermline Athletic's Youth initiative attracts attention from Republic of Ireland. IRN BRU First Division from Dumfries. Phinn headed Pars into early lead but McQuilken levelled on 21. Bayne winner two minutes from full time. 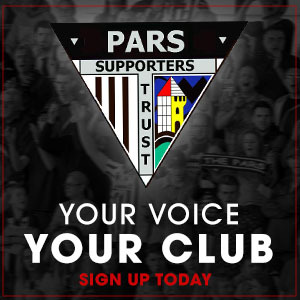 The Pars have won eight of the last ten meetings, QOS last defeated the Pars in the league back in 1986. Jim McIntyre on his first year as manager. Jim McIntyre talks on how he has found his first year in management. 05/12/08: "It is going to be a difficult game. At the same time our away record is good and hopefully we can keep that form up." The United Pars meeting held on Thursday 4th December was led by Karen Masterton with new Club Director Steve Curtis and Stadium Manager Kenny Arnott in attendance. A new club shop opened in the Kingsgate Shopping Centre on Friday 5th December. 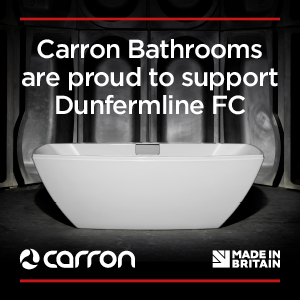 Dunfermline have started looking forward to away league matches since their mediocre home form is eclipsed by an impressive run of six away games without defeat. 04/12/08: "It is not a happy McIntyre household when the result has not gone our way!" Fourth round of the Homecoming Scottish Cup sees the Pars at home to the Bully Wee on Saturday 10th January.